The most expensive flats in European cities are located in the centers that guaranty the urban lifestyle comfort, nearby various cultural, business, educational, sports, traffic, commercial, and gastronomic places. At the same time, residential area is located within a representative environment. The major criterion to live in such magnificent neighborhoods is the social status. It is a method for assuring uniqueness of location. 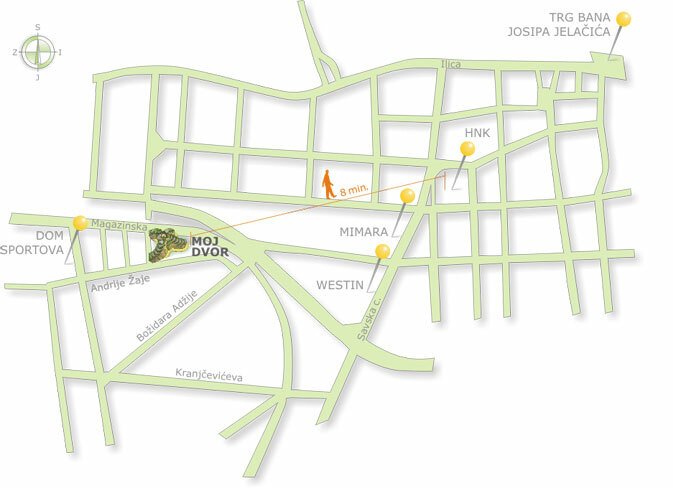 Even though near a railroad which, as an advantage, does not allow new building closeness, the MOJDVOR location in the central city area is the symbol of luxurious living of European capitals, and only one of the few that allows this type of construction in the city center.